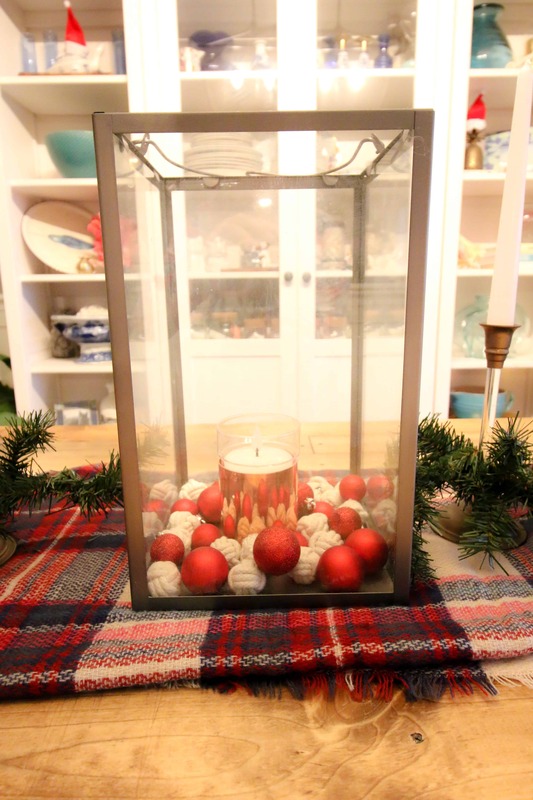 Want to make a simple DIY Christmas centerpiece? Here’s how I made one from things around my house! We are hosting Christmas again this year, and I plan on scaling it way, way back from previous years. I just have no interest in doing a bunch of cooking or gift buying when I could be spending my last few days at home with the baby. However, I am still getting into decorating our home. I’m trying to bring more color into the decor this season. 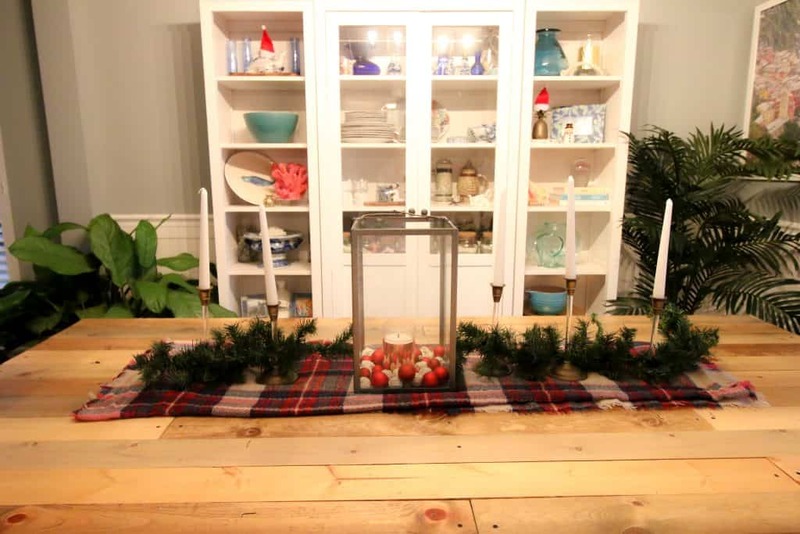 Be sure to check out our Christmas village mantel if you haven’t! 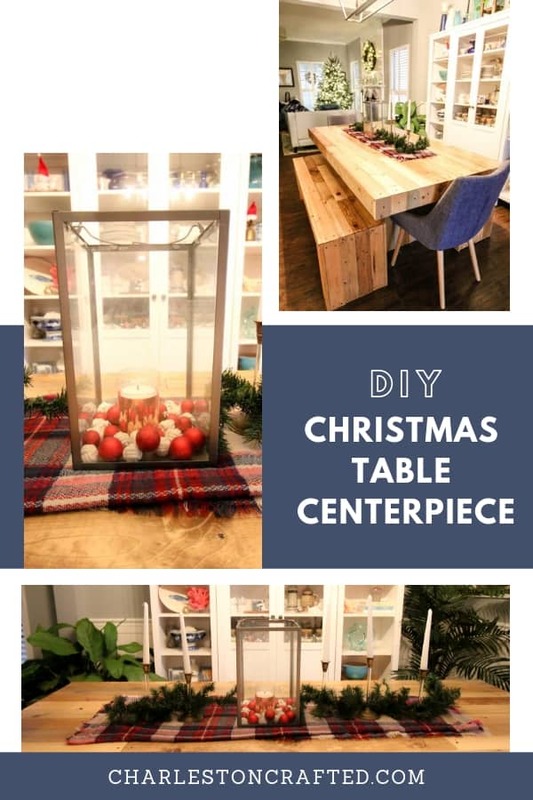 Click here for all of our Christmas DIYs! 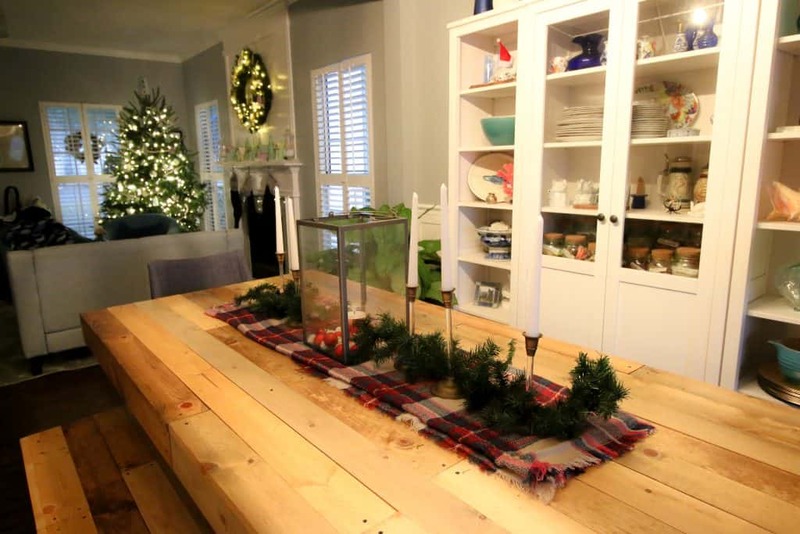 So I decided that it would be fun to go ahead and set up my simple Christmas table. 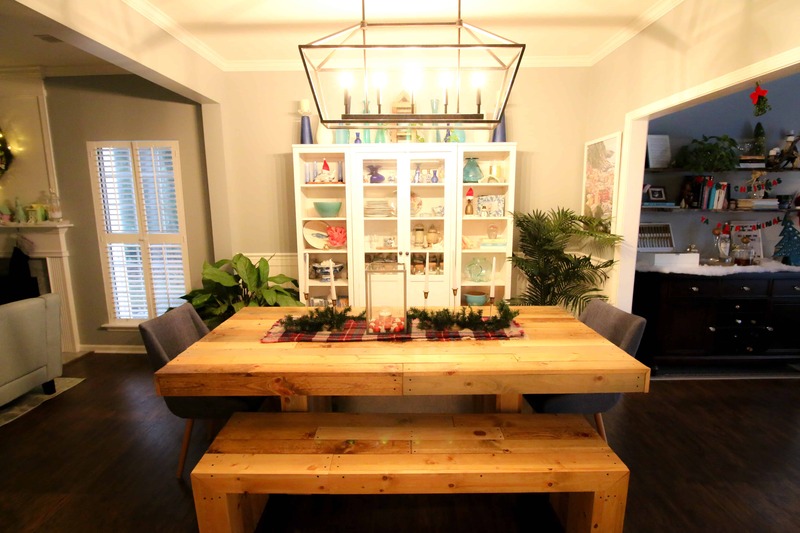 I didn’t set out place settings yet – we eat dinner at this table every night. For now, I just set up the centerpiece. It was important that I not buy anything new for this project and that I be able to get it done quickly during nap time. This whole thing was cheap (free!) and easy. It took longer to bring everything downstairs than to set up the table! My best advice for decorating with what you have is to be creative. 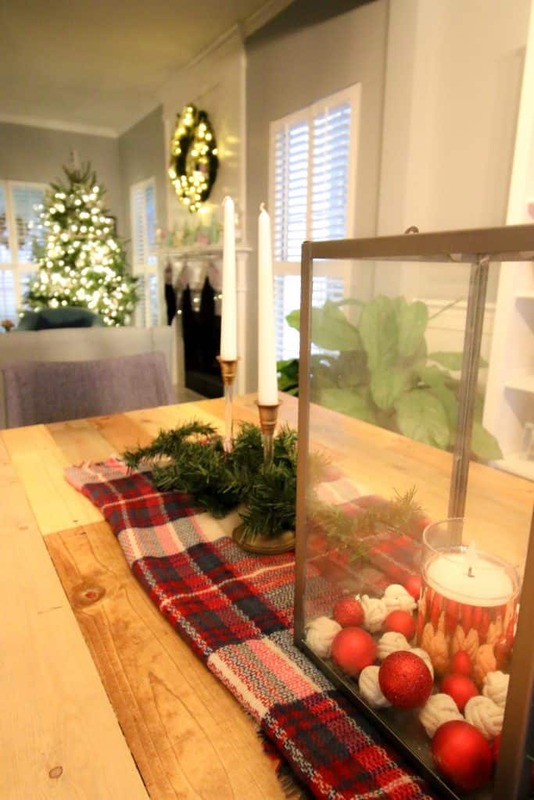 The inspiration for this centerpiece was my plaid blanket scarf. I love the colors and texture. It was easy to fold and repurpose into a table runner! I love to decorate with candles for the holidays. It just feels so cozy! 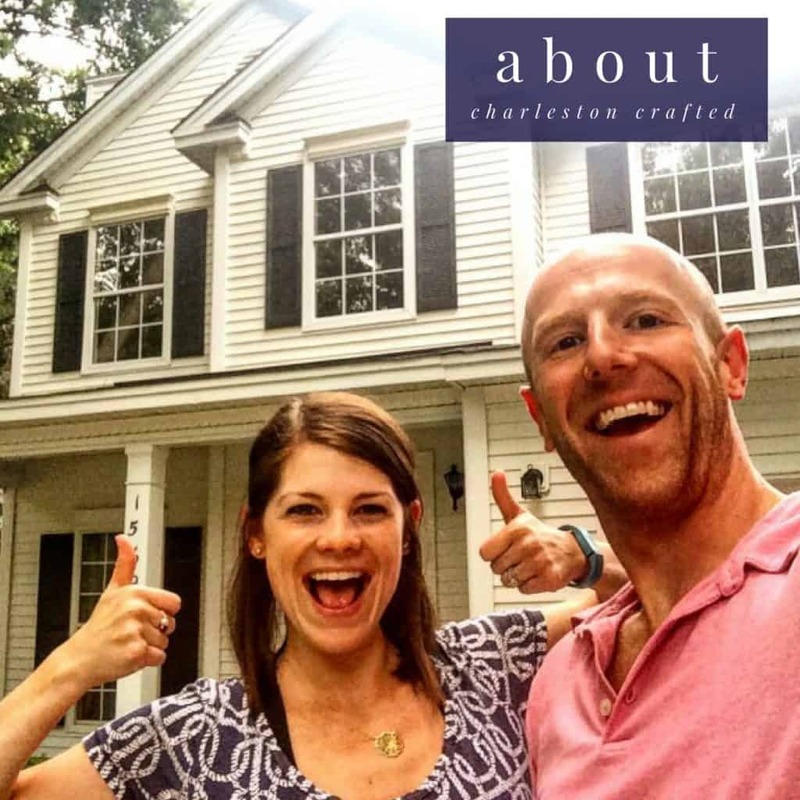 The big message that I want to promote is that you don’t need to spend a lot of money to decorate for the season. Save money and keep some stuff out of the landfill by using what you already own in a new creative way! I hope that you like my Christmas table decor! 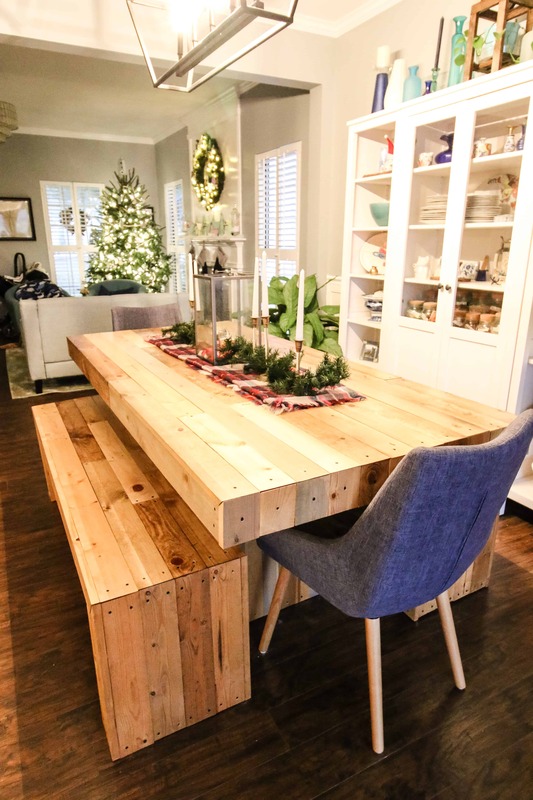 Here is how we DIYed this dining room table and the benches! I started with the table runner. I folded the scarf in half and then in half again to create the size runner that I wanted. Next I added the lantern to the center. I filled it with a flameless candle, monkey knot balls, and red ornament balls. Then I added candles and candle stick holders on either side of the lantern. Finally I finished the look off with a bit of green garland, trimmed from a longer garland. If you like tablescapes, check out my Easter tablescape, too!